Racing and Sports highlight our standout plays for Australian TAB meetings on October 10. 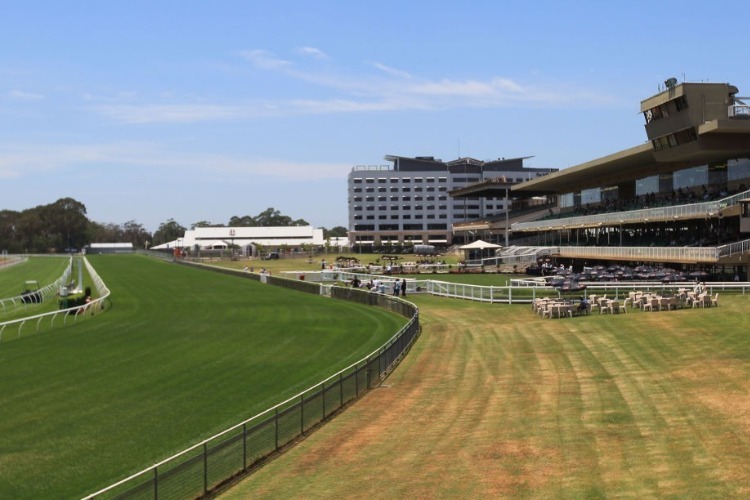 Five TAB meetings are held across Australia on this Wednesday at Warwick Farm, Bendigo, Belmont, Strathalbyn and Launceston. ROOSEVELT was last seen chasing home a Group 1 winner when fifth behind Written By at Caulfield. Will be fitter for the run. Easier here and could take some beating on his home track. You couldn’t want for a better jockey/trainer combination at Warwick Farm today either. James McDonald has a winning strike rate of 42% for James Cummings so far this season and a 30% strike rate at Warwick Farm while James Cummings has been striking at 33% for over 12 months at Warwick Farm now. BOMBARDING was below his best first up at Rosehill. Was working through his grades at the end of last prep. Expect improvement. UP TRUMPZ comes into calculations after some key scratchings. SELECTIONS: #13 Roosevelt for the win. LOVE CLUB will find this easier than his last attempt in the city and was racing well before that having placed at his previous two. Has impressive records at the course and distance. This suits. PARTY SET has found her best form making it two wins in a row when scoring at this course and distance last start. Must respect winning form. HILUMIERE is consistent with a win and three placings from her past five starts. Include. SELECTIONS: #2 Love Club looks suited. Backing straight out from #5 and #3. Huge Action should be among those pressing on from out wide and Definia looks prominent from the lower draws. BRAVO TANGO rattled on home first up at Flemington. Got going when it was all over there but 1300m now gives him a chance to both stay in touch and wind right up before the ship has sailed. Really good talent and well up to beating these. JOSEPHINE SEA should improve after finding traffic last time. Sandown run was good. INDERNILE is up to running a big race here. SELECTIONS: Trip looks a big plus for Bravo Tango. FLASH MISSILE was a big 70 winner this course and trip and will be better for it. Raced favourite in that and can repeat with the weight drop. WYUNA is 3U for Brunton and should be ready now. Gets Newitt and the record this distance is good. SECRETS SHE HAS was heavily-backed winning at the mile in an 82 and she gets the chance at her second try this trip. UP CUPS just missed at the mile FU and the step-up suits. SELECTIONS: # 4 Flash Missile can win again off the peak. Race Synopsis: Godolphin-raced colt Roosevelt is highly promising, now winning two of four starts. He settled in fifth place, but out deep in the heavy 10 conditions. James McDonald keep him deep rounding the home turn, before racing to the front (wide out) at the 100m. He then dashed clear and went on to score effortlessly. He looks a colt with a bright future.